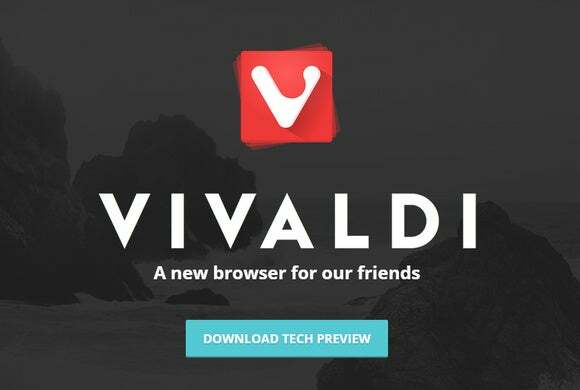 Vivaldi Technologies released the third technical preview of Vivaldi, the browser for power users, on Wednesday with a bunch of new features. The browser is still missing the promised mail client, but it now has a novel way to handle multiple tabs, and the note-taking feature has improved. The most interesting feature is the ability to display multiple tabs at once on large screens. First, you have to stack your tabs on top of one another. Once that's done, you right-click, and Vivaldi gives you the option to tile the tab stack. This takes all the tabs you have in one stack and displays them simultaneously on the screen as either multiple columns, rows, or a grid. In my tests, I only saw the multiple-column view and didn't see an option to turn the tab stack into a grid. 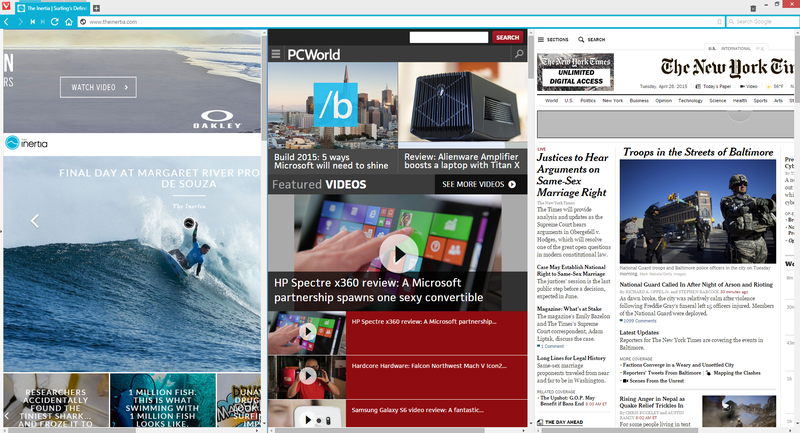 Tab stack tiling will be a great feature whenever you want to view two sites simultaneously. During a live event on YouTube, for example, you can view Twitter and the live video simultaneously in the same window. It's also handy if you want to open several news sites and view them all at once. Just make sure your favorite sites have responsive designs that can automatically adapt to new screen sizes. Otherwise, you're in for a world of pain viewing full-sized websites in thin, side-by-side strips. Vivaldi now lets you add screenshots and files to in-browser notes. Vivaldi also added a new feature for researchers: Attach a screenshot or a file to a note. 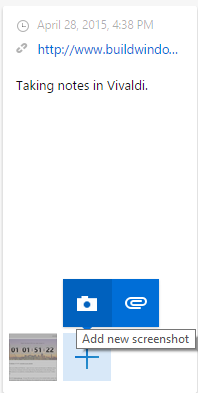 If you wanted to take a screenshot of a page in case it changes, you just hit the plus symbol at the bottom of the notes window and select the camera icon. This will add a page screenshot to your note. You can also add other files from your PC. Beyond the two biggest additions, Vivaldi has added mouse gestures to let you carry out browser actions such as opening and closing buttons without clicking buttons. Right-click and move down, for example, opens a new tab, while right-click, move-down and to the right closes a tab. Vivaldi also added features to better control page content, such as the ability to stop loading images and videos on a slow network. 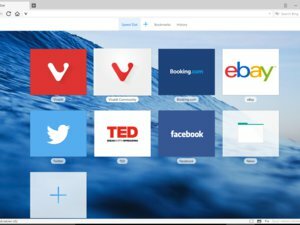 The Vivaldi third technical preview is available now.